The other day, a woman called me about help on her brand and mentioned she had come from Iyanla Vanzant’s site that I designed. We got to speaking and something dawned on me that I hadn’t taken any credit for before, I actually helped Iyanla attract Oprah. If you have never heard the story of how I attracted Iyanla, it’s a great one and deserves to be told. Not simply so that I can brag (I mean, after all, the methods I used were given to me by my mentor, not invented by me) but so I can help you attract the seemingly impossible. Back in the Spring of 2010 a couple of things were going on with me. 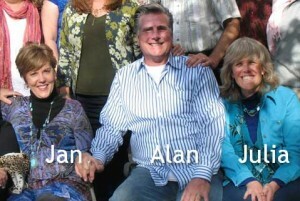 For one, I had recently attended a retreat with Jan and Alan of Perfect Customers, Inc (the creators of the Attraction Plan I use in my business.) At this retreat I got clear on what I really wanted to attract, who I really wanted to be. “I want to uplift and empower millions of people to transform the world.” At first that declaration upset me deeply, because I felt helpless to have such a significant impact. But I did begin to understand that by attracting and assisting powerful change-makers, I could have the effect of impacting millions. At that same time, I was interviewing a number of successful entrepreneurs to discover how they produced the most amazing breakthroughs in their business, organization and life. At one point in the process I realized that I had not interviewed enough women of color for my project! So I started thinking about amazing women of color and the first person who came to mind was Iyanla Vanzant. Ms. Vanzant used to be known as The Guru From the Hood back in the late 90s when she had a spot alongside Suzi Orman and Dr. Phil on the Oprah show. But she had left that show long ago and nobody had heard from Iyanla in years. I asked around if anyone knew how to connect with Iyanla but nobody had any good suggestions. I nearly freaked out. Could it really be Iyanla Vanzant calling me? I raced over to my computer to see the logs for who had downloaded my Magical Marketing Toolkit but it said someone named Iya Bandele had contacted me. I chaulked it up to a “Sign of Land”… not really Iyanla Vanzant but close. So Iyanla and I got together to discuss her Attraction Plan and I didn’t even know it was her until we’d been talking over an hour and I looked at her website to see she was selling her own books, of course. “Oh, you’re selling Iyanla Vanzant books?” I said, still clueless. “Is that you?” I said weakly. Yeah, and she also called herself an EFT life coach instead of a 5-time NYT best selling author and TV show host. We had a good laugh and then I learned why we hadn’t heard from her in so many years. At that time she was recovering from so much loss that it’s amazing she survived: Leaving the Oprah Show for a show on Barbara Walter’s network, only to lose that contract plus a book deal when they ignored her vision. Then her daughter got cancer and after Iyanla spent her fortune in attempts to heal her daughter, her daughter passed away. After that Iyanla’s husband and love of her entire life (who In the Meantime was written about) left her via email. She lost her house. Then she nearly lost her life to suicide. When we met she was working on a book about her ordeal and doing her best to get back into full alignment with her vision and her ability to transform the lives of millions. Though it took a number of months to actually get rolling, we started working on the website for her non-profit Inner Visions World Wide. I could see my Attraction Plan coming true. 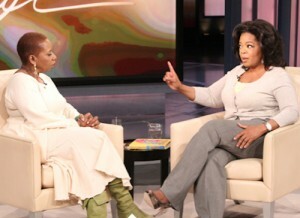 Back in 2010, Iyanla had not spoken with Oprah since she left that show a decade before. As we worked together on her website, we kept revisiting her Attraction Plan. 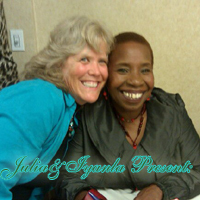 What was most important to Iyanla was her vision to help people gain peace, to transform their lives. In the past, some powerful people had thrown her off course from her vision but that was no longer going to happen. I’ll never forget the day that Iyanla called me to say that Oprah invited her to be interviewed on her show about the new book Peace from Broken Pieces. 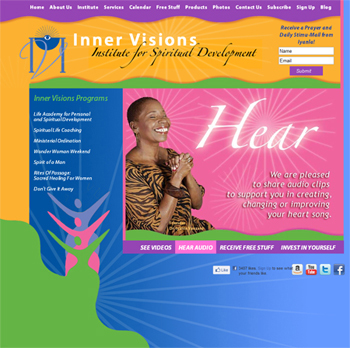 It was February 2011 and we needed to get the Inner Visions website up and “Oprah Ready” in 2 weeks. When the show came, I was actually on the phone with Iyanla talking about what happened behind the scenes. What was clear to me on that day was that both of our Attraction Plans had come true. Amazing things can happen when you focus on what’s most important to you, your vision, and work your Attraction Plan to come into alignment with the future that is waiting for you. Amazing, impressive and quite a demonstration of the Power of Attraction, Alignment and Faith!